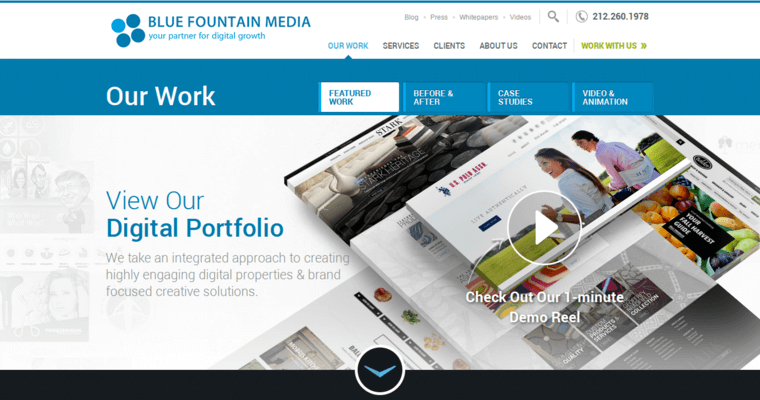 Blue Fountain Media is a digital media agency that is based out of New York City. 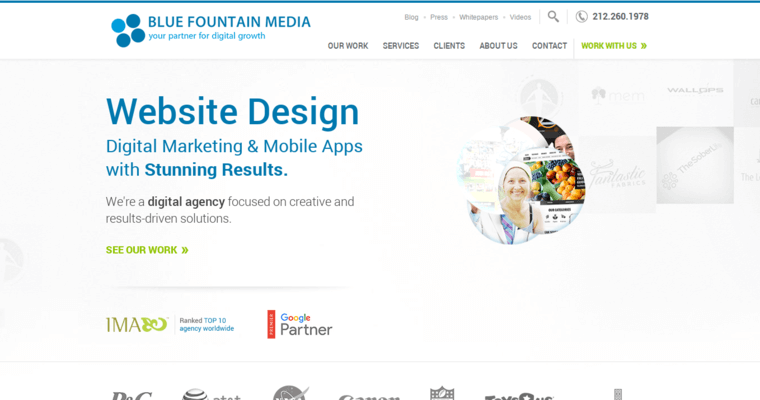 Blue Fountain Media is a company that works in the field of digital marketing and media relations, using their experiences in digital growth to help business get the attention and results that they want. The agency is made up of artists, designers, developers, programmers and media relations experts who all have a passion for using technology to help clients be the best in their field that they can be. With all the years of experience and general know-how here, the agency provides the major service of strategy branding and consulting for clients. This mainly involves thinking of new ways to reach out to the masses and giving out advice on what the best route is to start a campaign. 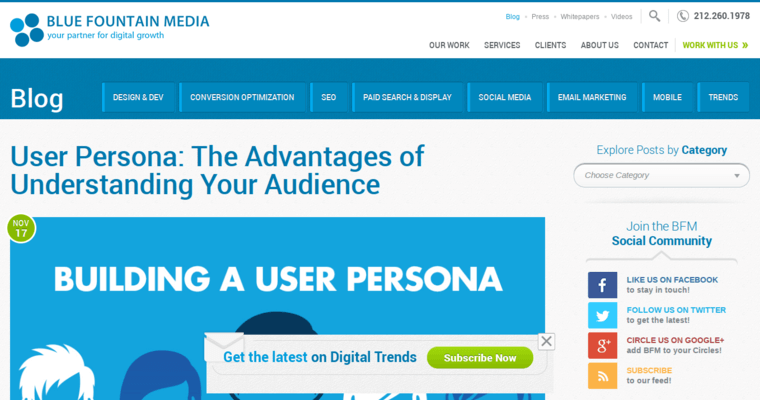 Market research is also crucial for knowing who the audience is and what they want.